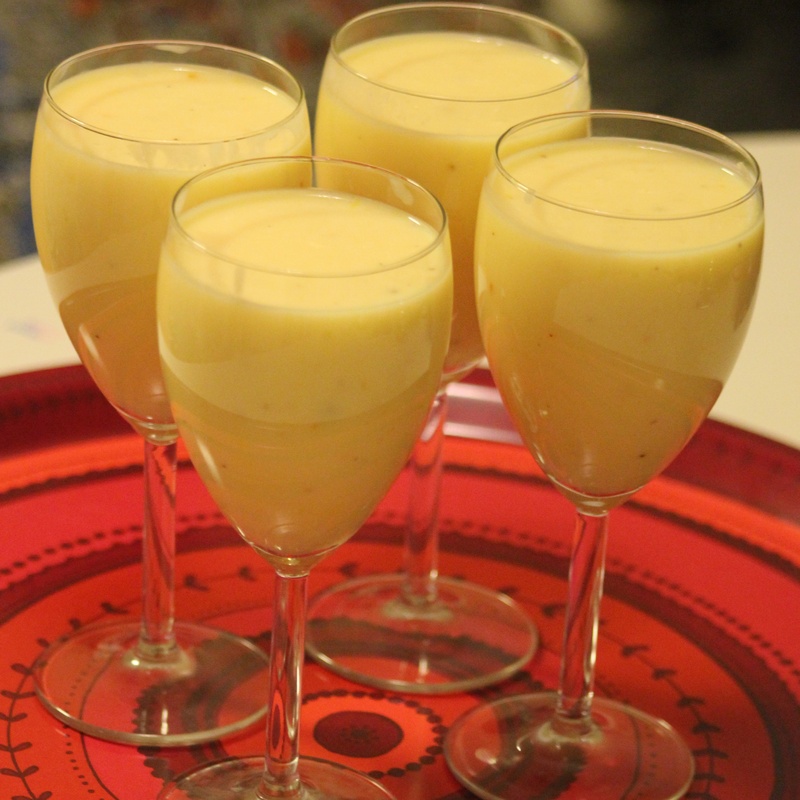 Mango Lassi – Eat, Click, Travel and Repeat! Believe it or not, I never drank mango lassi when I was in India. I refused to do so. I didn’t like the sour taste of yogurt with milk (I had weird food preferences). Anyway, I have started drinking Mango lassi after leaving India. It is easily available at Indian restaurants here in Copenhagen and Stockholm. I won’t be surprised if non-Indians love the taste too! Well, of course if you have allergies with the fruit itself or milk products, then lassi cannot be option. You will need these ingredients to make mango lassi at home for yourself. Blend all these ingredients for at least 15 minutes to form smooth Mango lassi! I served it in wine glass 🙂 just for fun! I am sure! I am never tried anything like this!